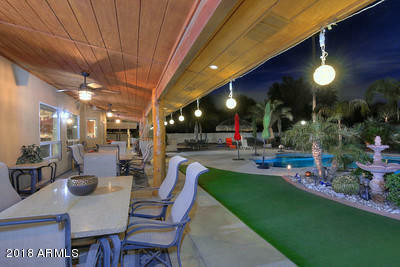 Resort living & perfect home for entertaining! 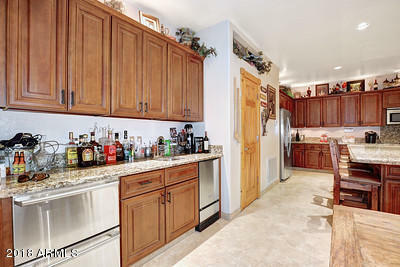 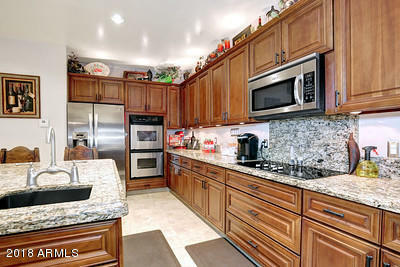 New open kitchen has 3 sinks, cabinet space you've always wanted & double ovens. 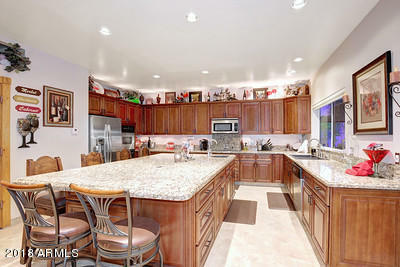 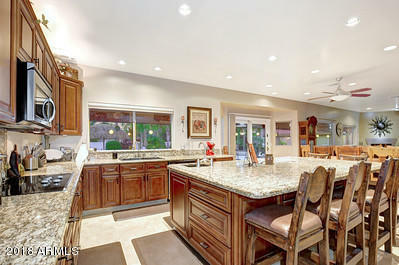 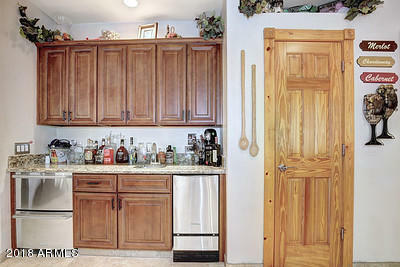 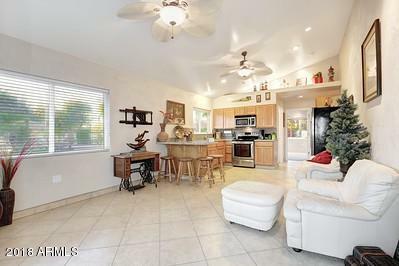 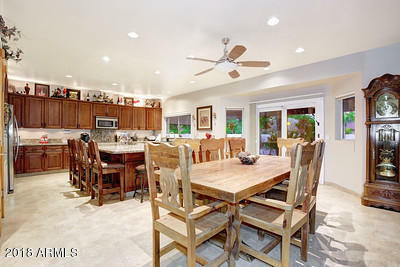 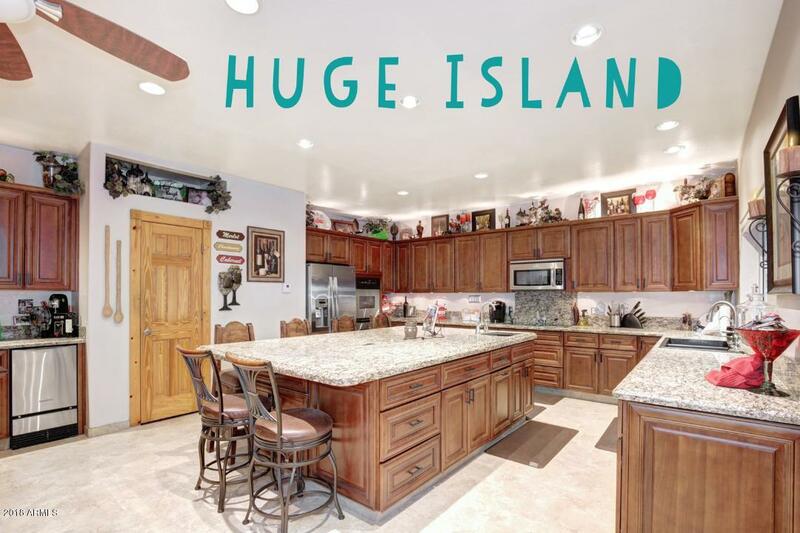 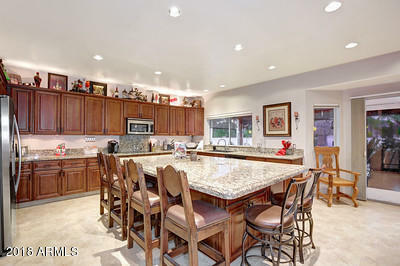 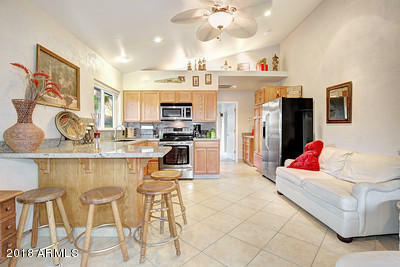 Entertain friends & family around it's huge island which overlooks the dining area & great room for today's open layout. 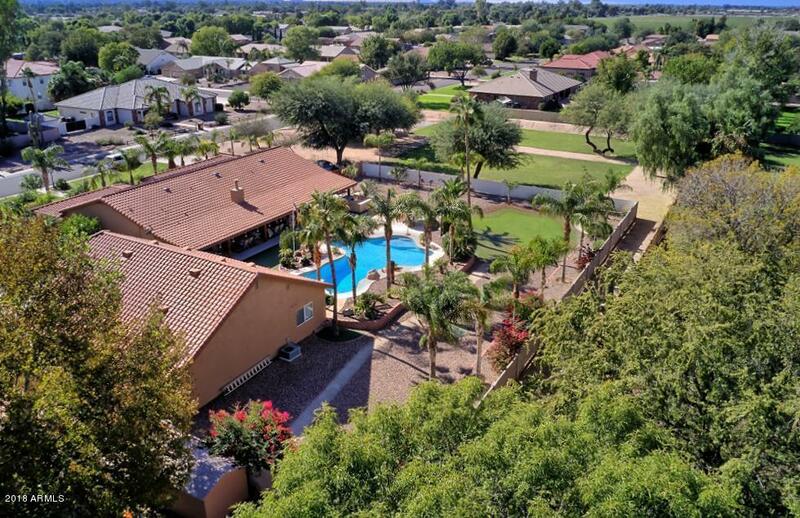 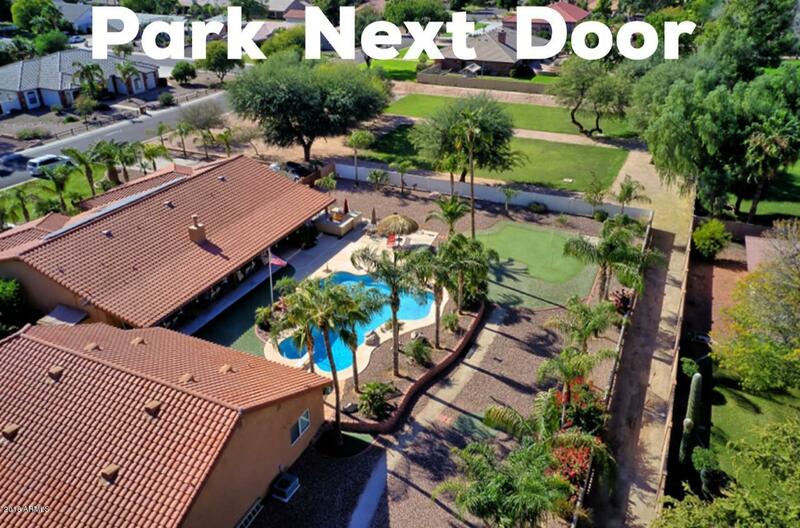 Just outside, prepare meals in the outdoor kitchen, while friends relax in the expansive covered patio & various sitting areas as kids play in the pool, the spacious yard or even the putting green. 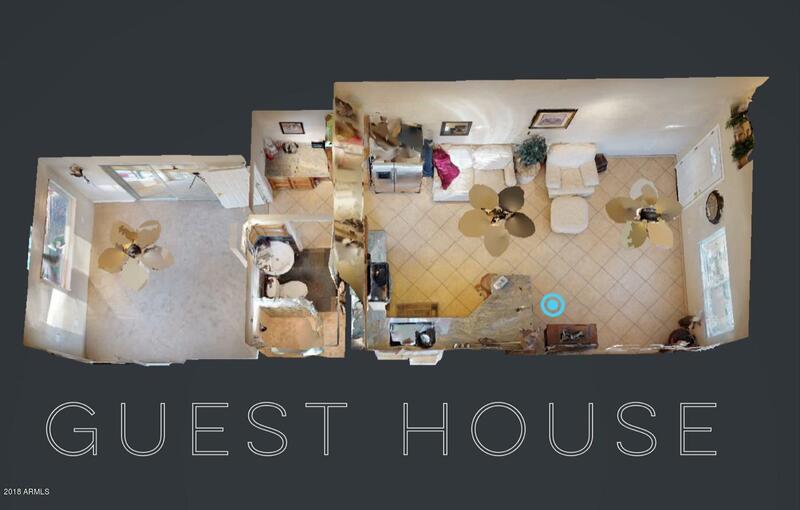 Those same friends can stay in the guest house! 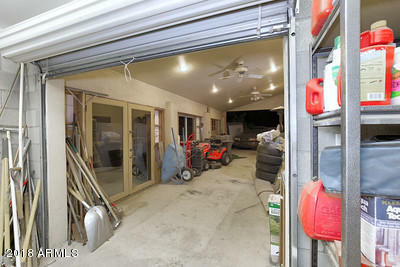 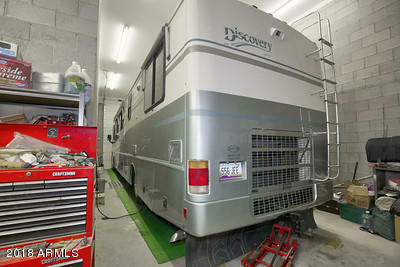 Attached to the guest house is a large shop and 50' RV storage. 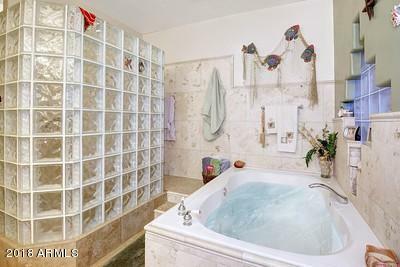 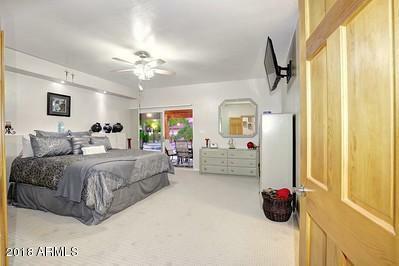 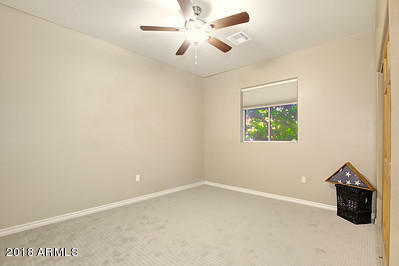 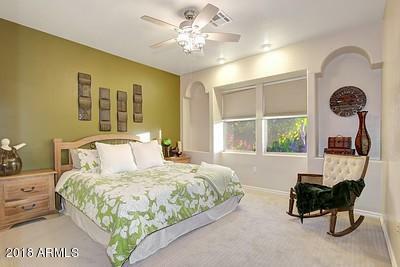 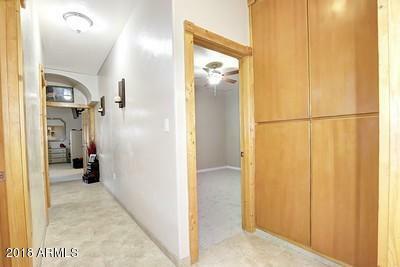 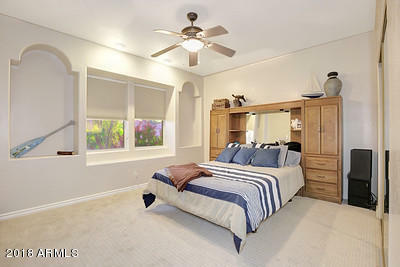 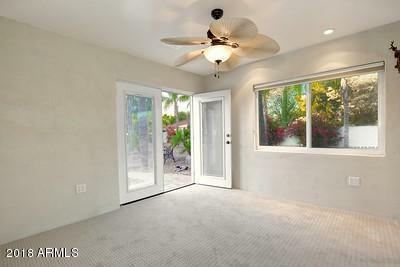 Back inside 3 of the bedrooms share 2 bathrooms. 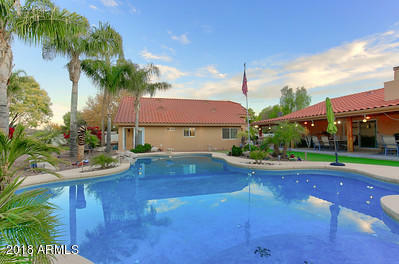 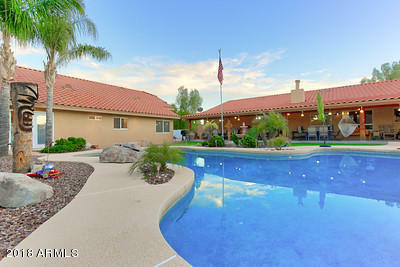 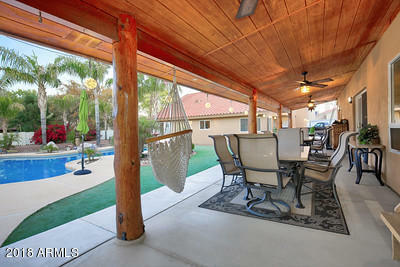 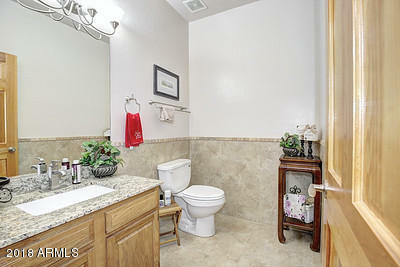 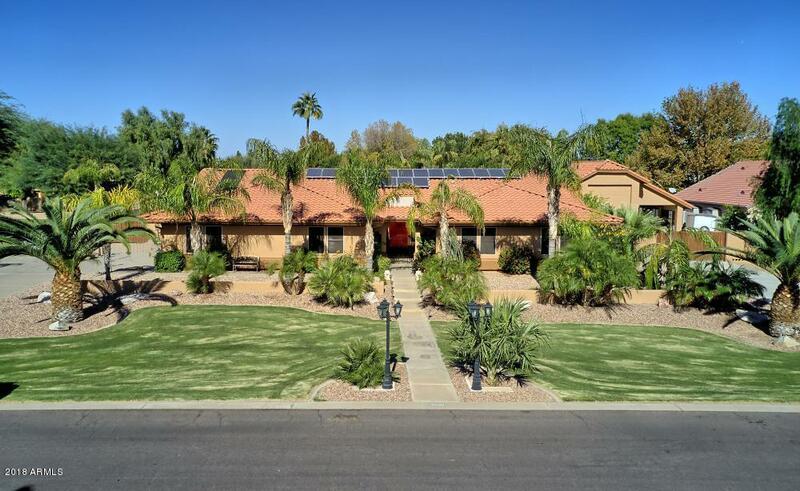 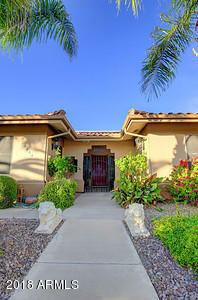 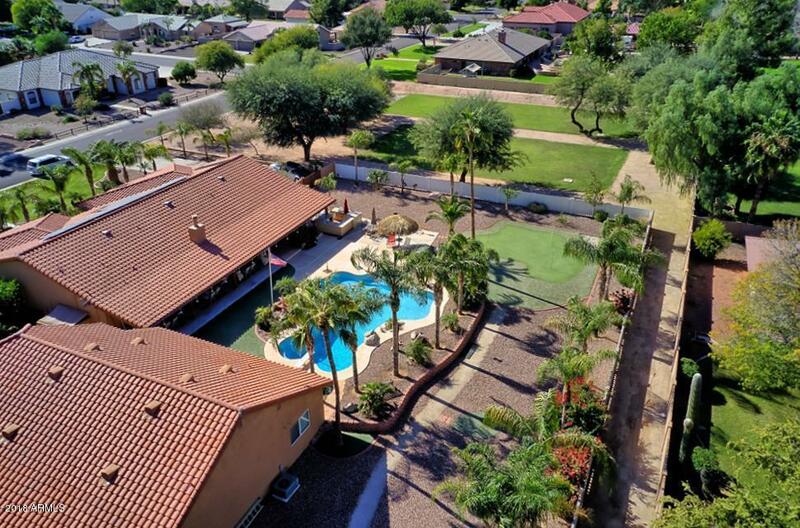 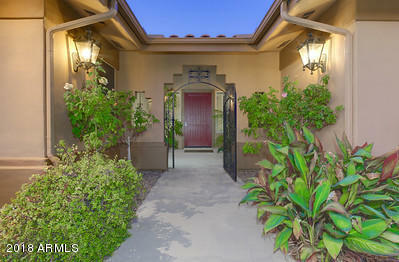 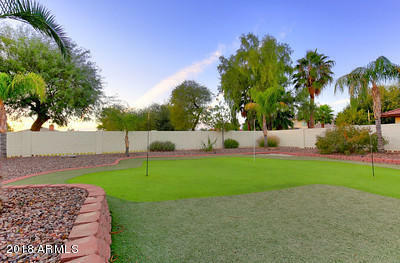 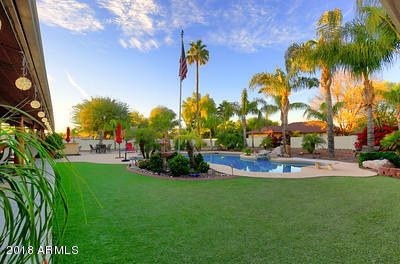 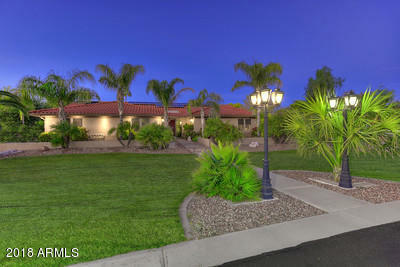 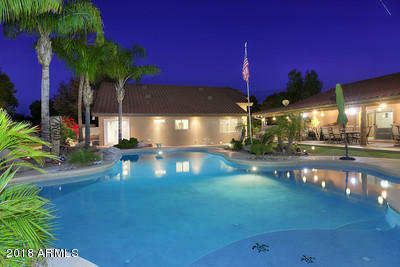 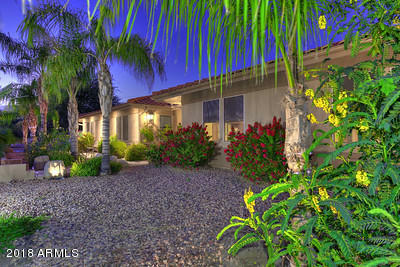 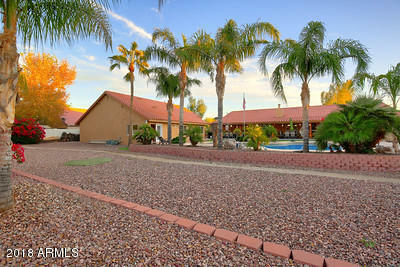 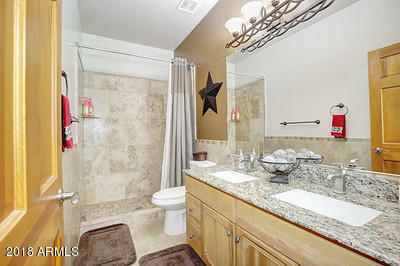 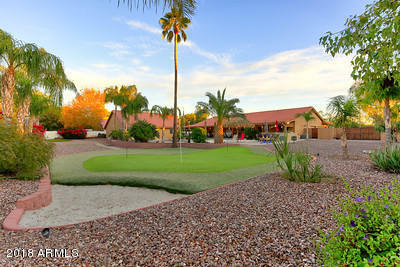 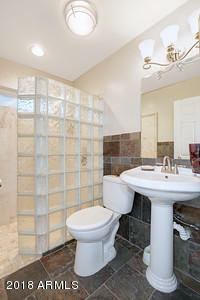 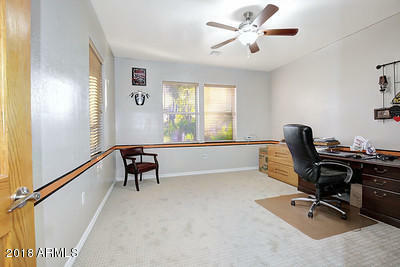 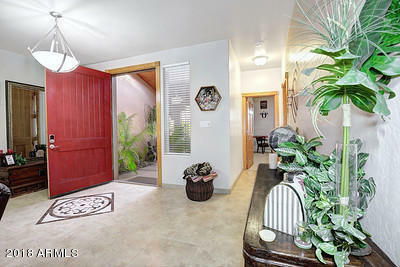 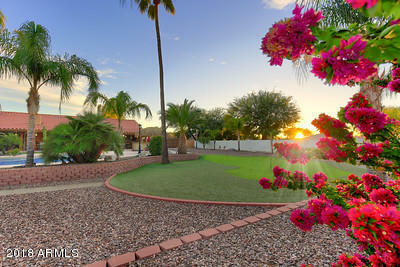 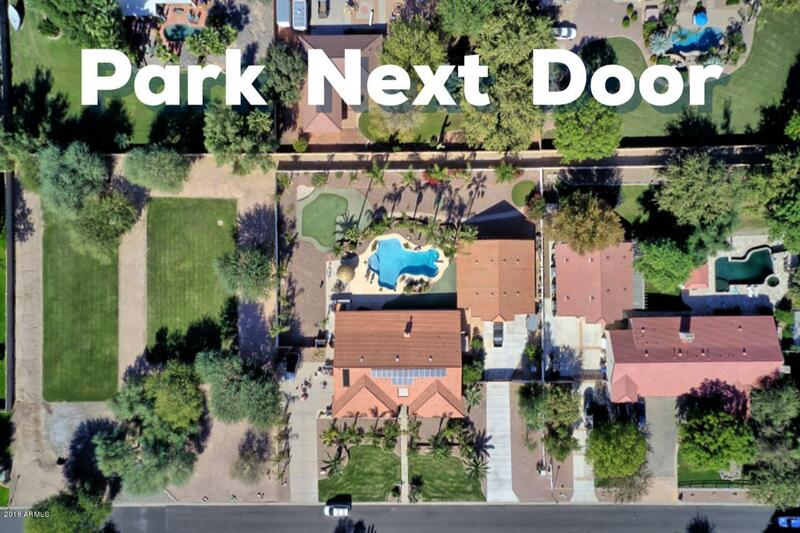 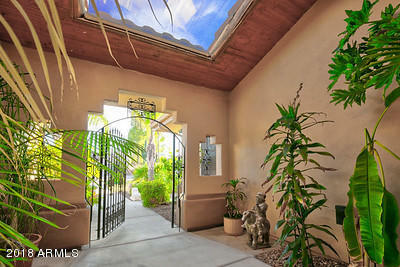 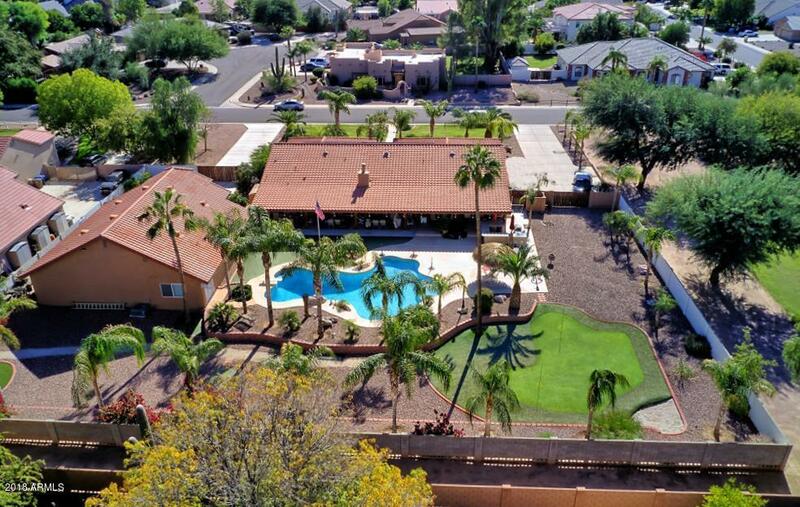 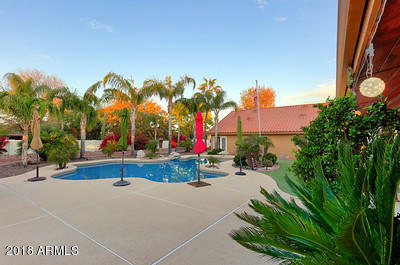 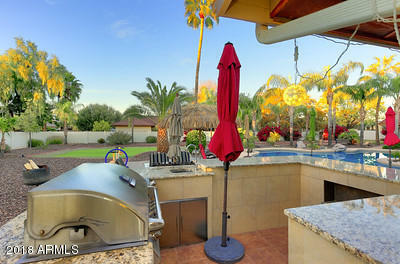 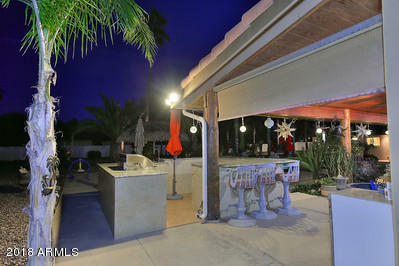 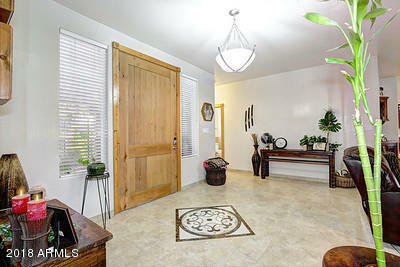 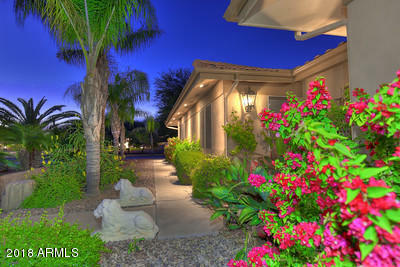 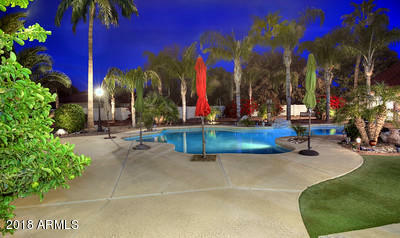 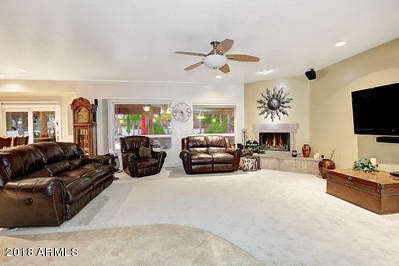 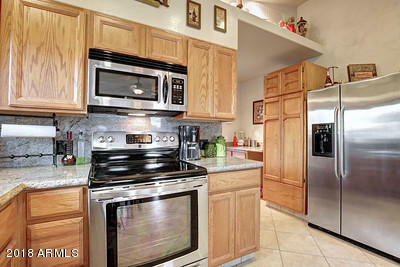 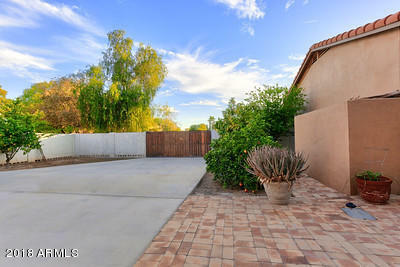 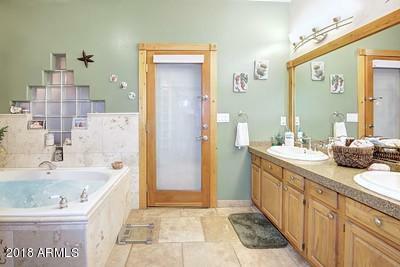 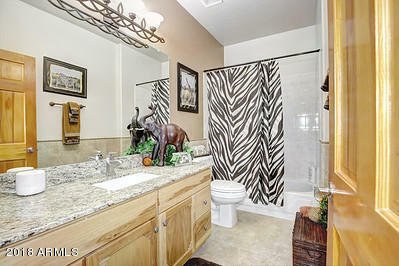 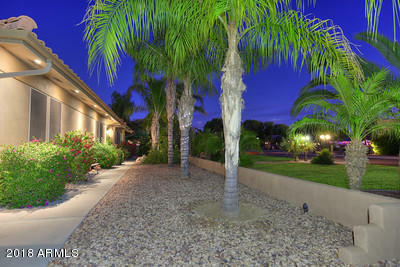 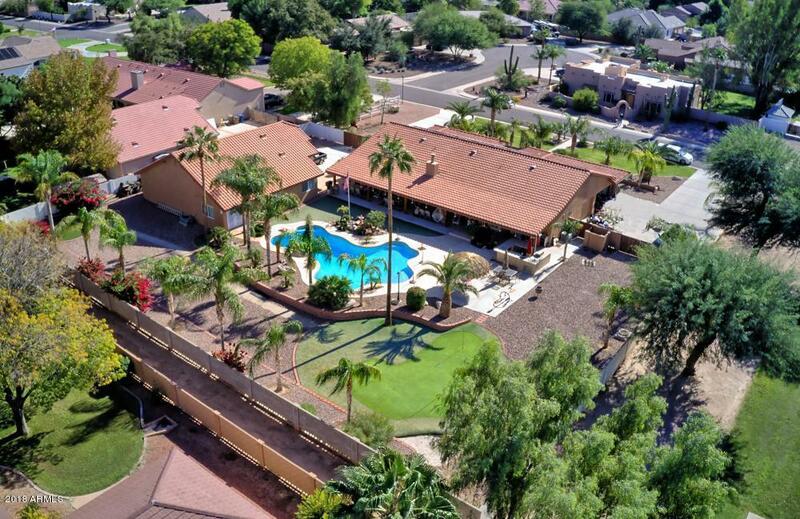 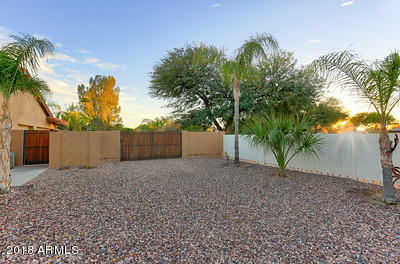 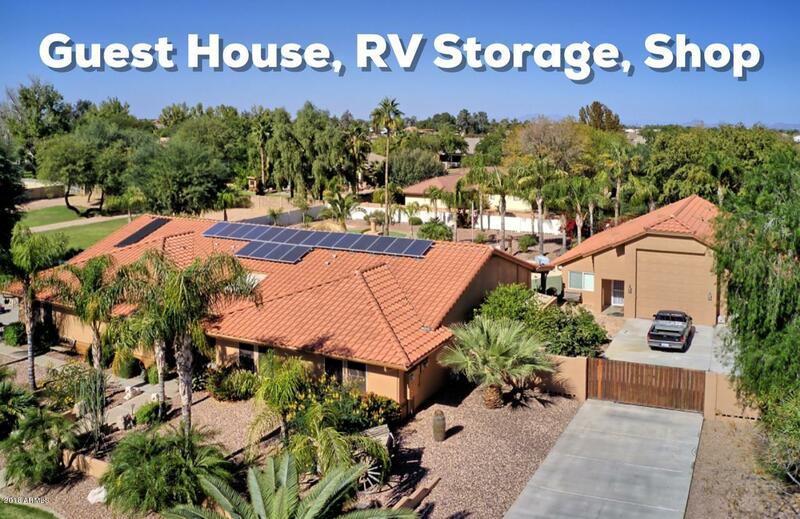 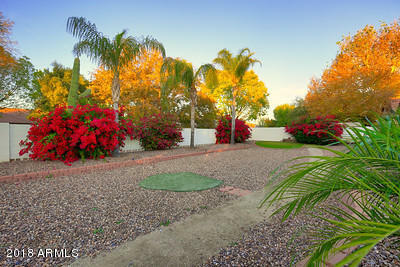 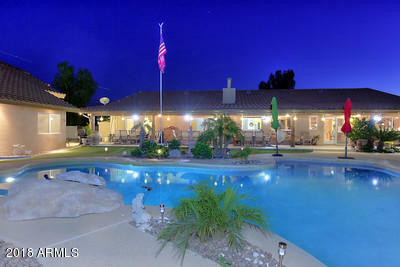 Great Location in the North West part of Queen Creek only 6 miles from the 202! 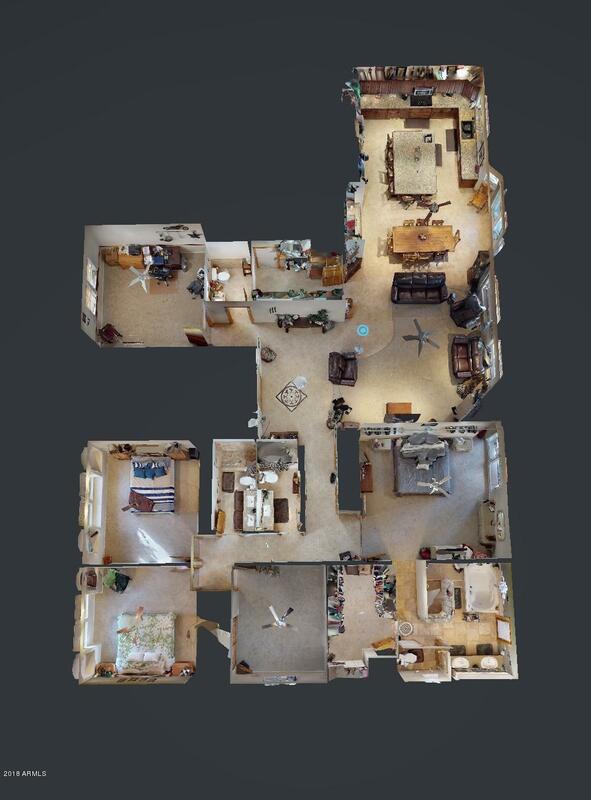 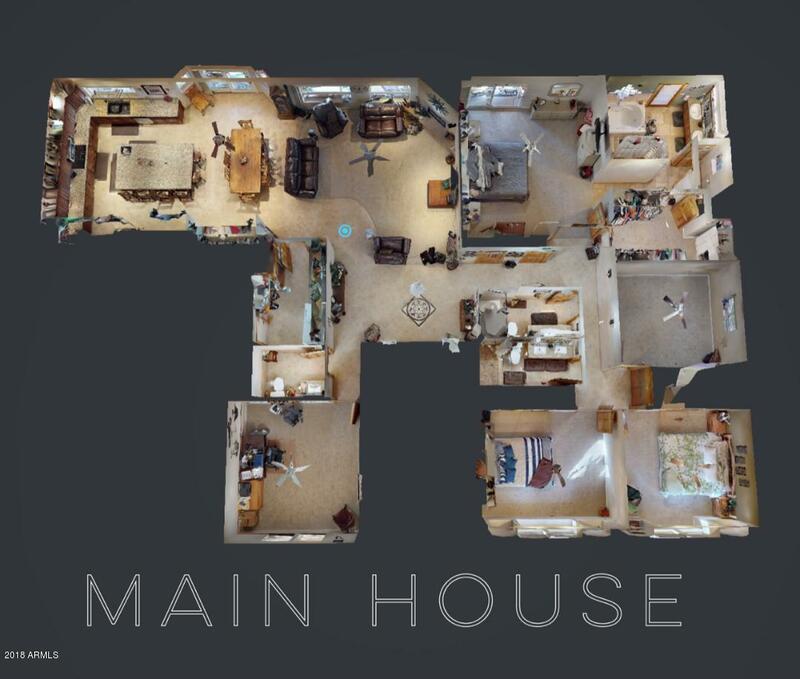 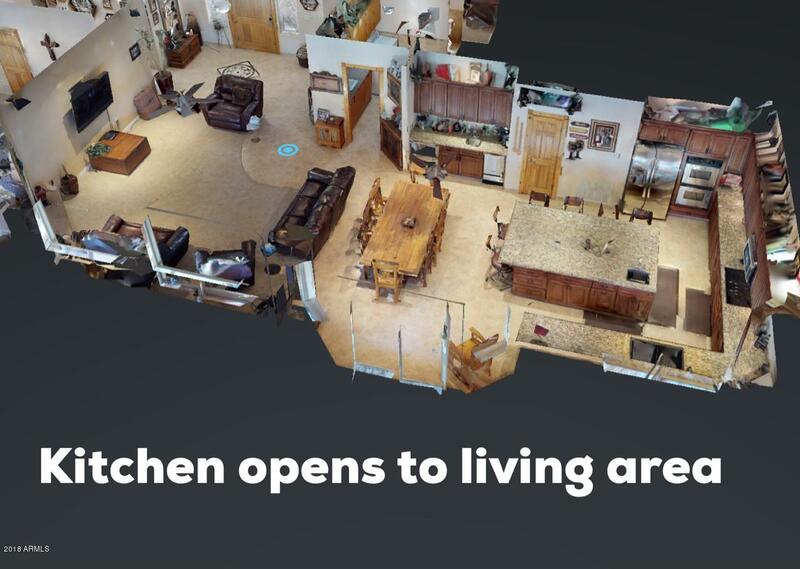 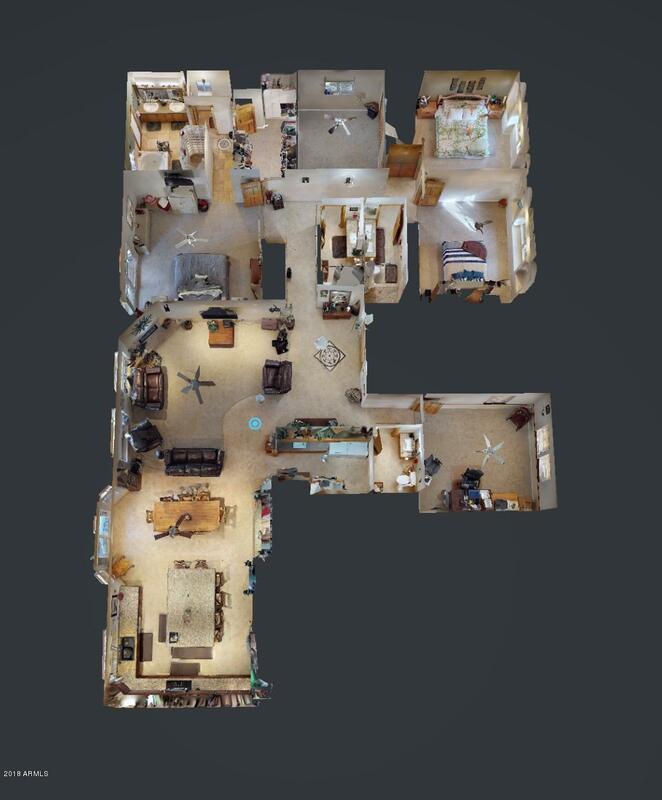 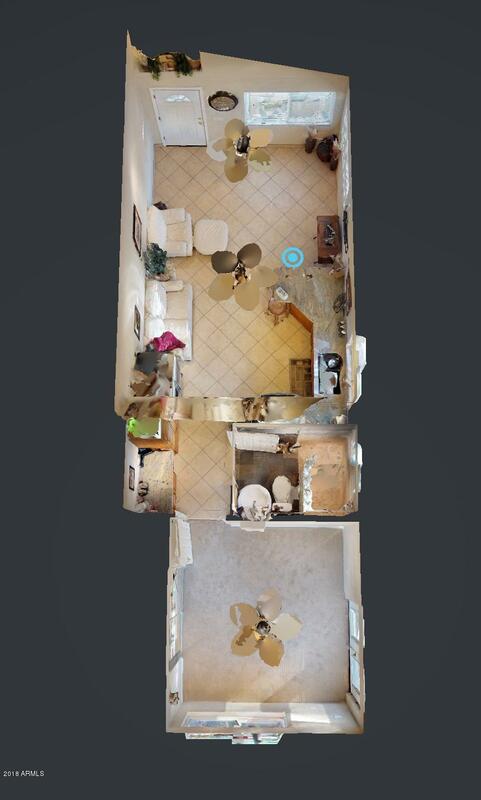 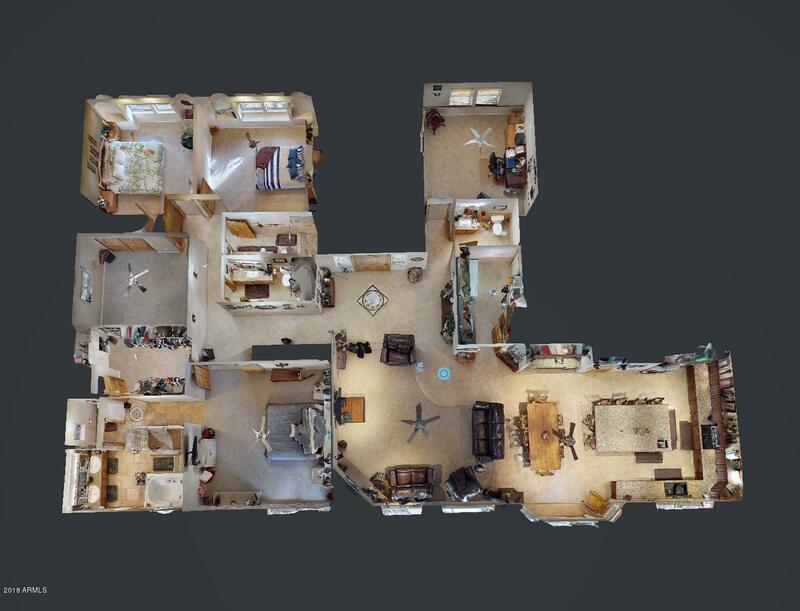 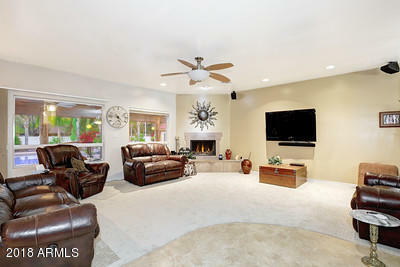 Click 3D Walkthrough under virtual tour section to walk through every inch of the home from a computer or phone. 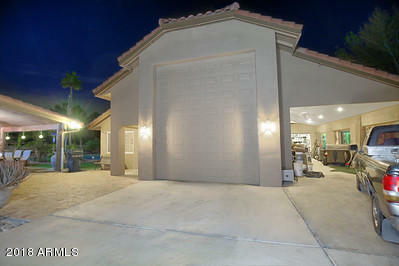 S on Sossaman, E on Sonoqui Blvd to your new home on the left.